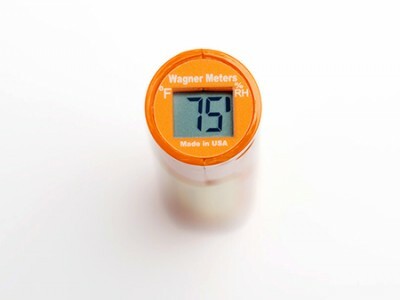 The Wagner Meters Smart Logger is a discrete Bluetooth temperature and humidity data logger. 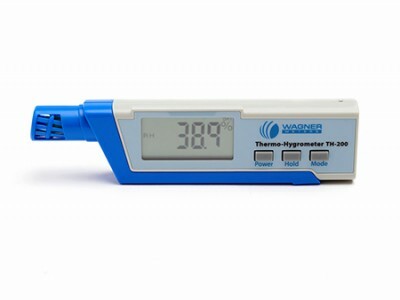 Capable of capturing, recording, and sending up to 12,000 readings or 300 days of ambient temperature and relative humidity data for job site monitoring. 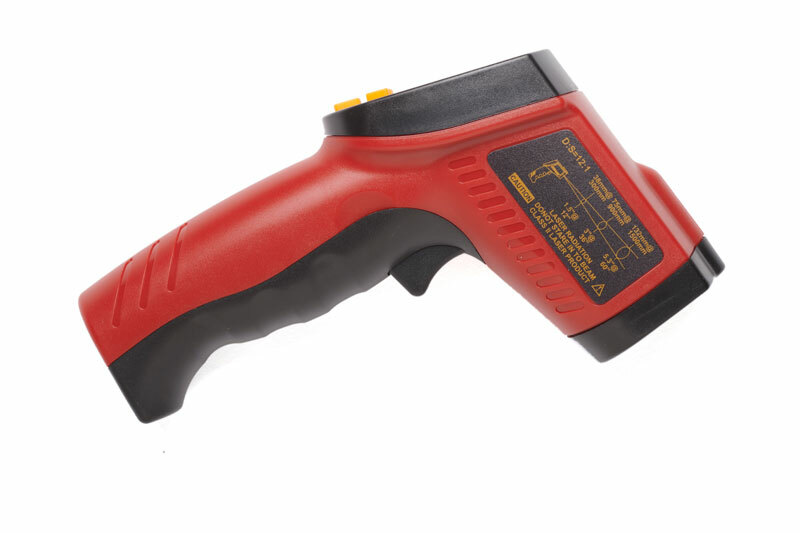 The WFP500+ gives the professional installer the most advanced moisture testing technology for concrete, wood, and other building materials. 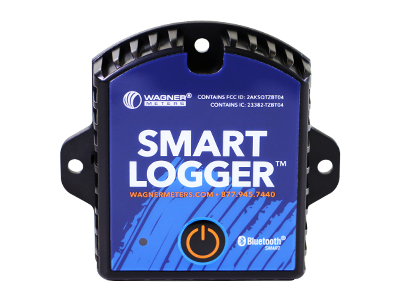 Includes an Orion® 950 Smart Pinless Wood Moisture Meter with temperature/RH and 2 Smart Logger™ ambient temperature and humidity recorders. 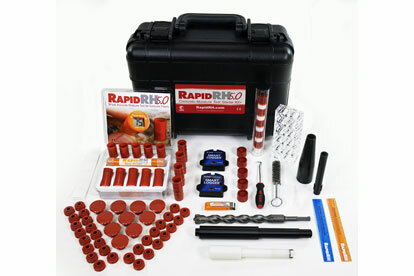 This kit includes everything you need to easily get started testing for concrete moisture using our Rapid RH® reusable sensors, along with 2 Smart Logger™ ambient temperature and humidity recorders. 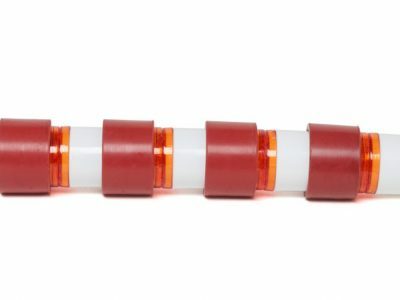 Make sure your Rapid RH® 5.0 Reusable Smart Sensors always have a patent-pending EasyCare CalCheck® unit for safe and easy storage. 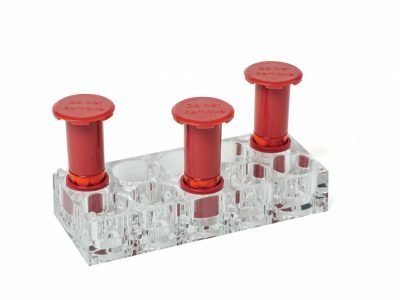 Stay within the ASTM F2170 Standard of calibration with replacement reusable Smart Sensors for your Rapid RH® 5.0 Reusable Smart Sensor Kit. 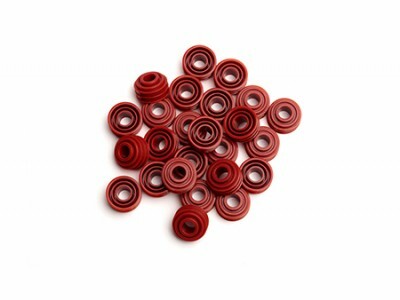 We have you covered with 5-packs all the way up to packs of 100. 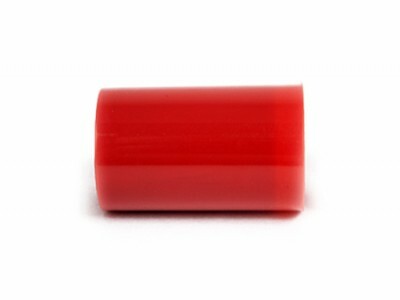 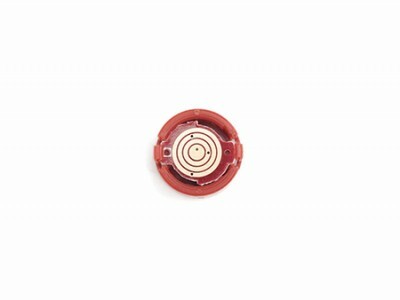 With extra bases, you're always ready to reuse your Rapid RH® 5.0 Reusable Smart Sensors. 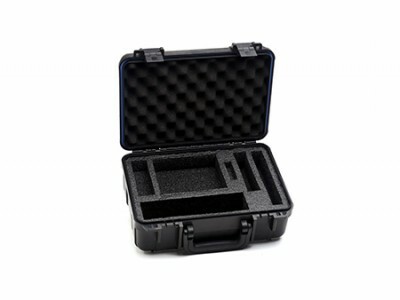 Keep plenty of extra packs of Reusable Smart Sensor sleeves on hand so you always have what the job requires. 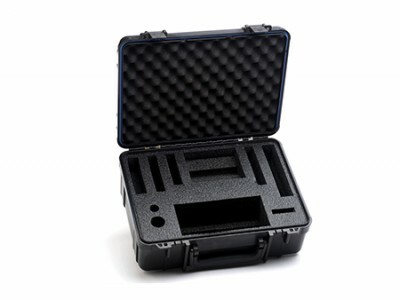 With this tray, each Reusable Smart Sensor, along with the patent-pending EasyCare CalCheck® device that comes with it is easily stored to help keep it calibrated and ready to use when you need it. 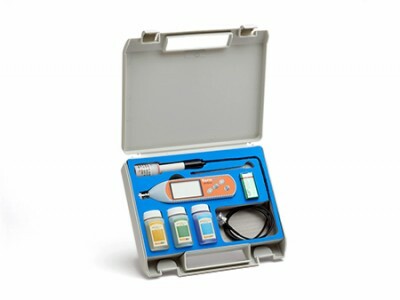 Holds all the Reusable Smart Sensors, sleeves, bases, and various tools and parts that come with the Rapid RH® Reusable Complete Starter Kit. 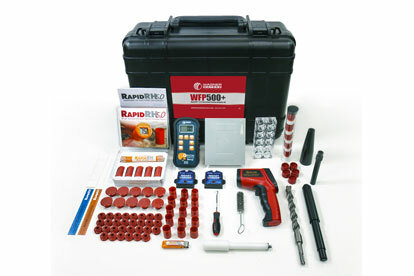 Holds all the Reusable Smart Sensors, sleeves, bases, and various tools and parts that come with the Rapid RH® WFP500 Reusable Pro Flooring Installer Package. 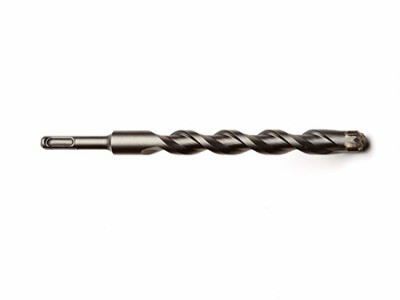 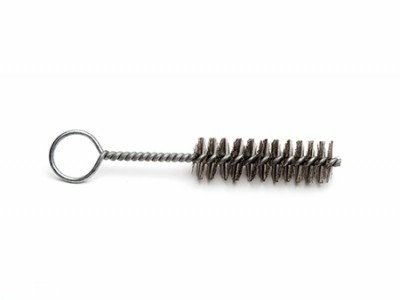 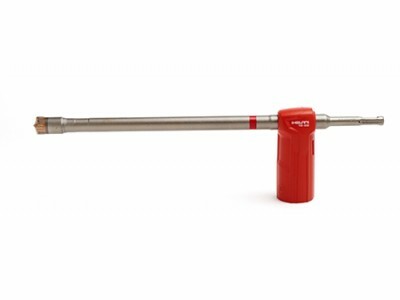 Use the TE-CD Hammer Drill Bit to get a 100% clean concrete hole prior to placing the Rapid RH® Smart Sensors at the correct depth for moisture testing. 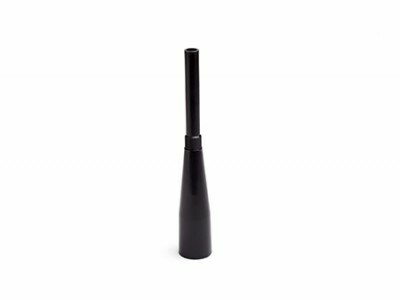 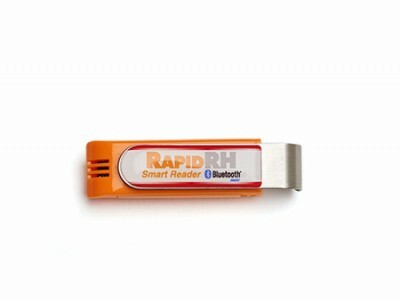 The Rapid RH® 5.0 extraction tool is designed specifically for your Rapid RH® 5.0 Reusable Smart Sensors. 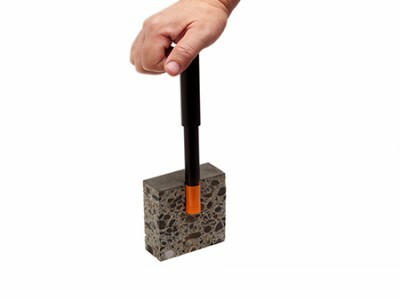 The Rapid RH® 4.0 EX Insertion Tool is newly designed to provide simpler, more ergonomic Smart Sensor insertion for relative humidity (RH) testing in concrete slabs with the Rapid RH® test method. 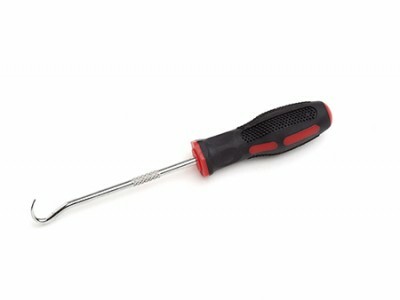 This tool will remove the 5.0 Smart Sensor, without removing the sleeve from test hole. 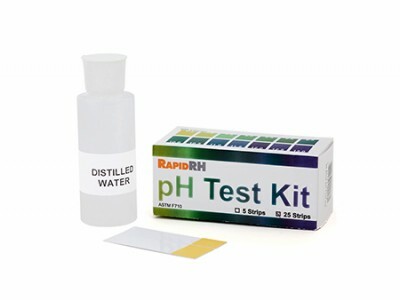 Test the pH of your concrete slabs with this convenient pH Test kit that includes test strips and a 2 oz. 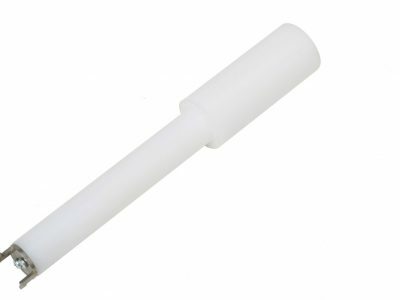 bottle of distilled water.